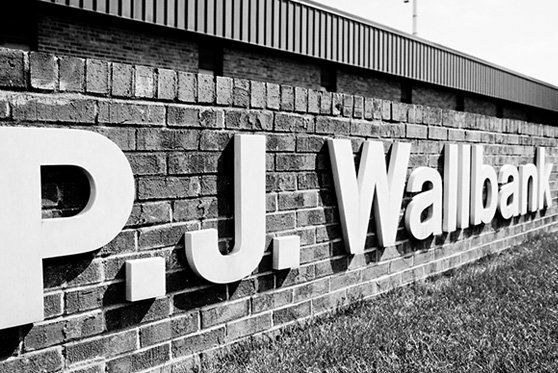 Wallbank springs give area some new bounce - P.J. Wallbank Springs, Inc.
P.J. Wallbank Springs does amazing things with little bits of wire. Its back story is almost as interesting as the high-tech automotive transmissions its tiny niche in the manufacturing universe makes possible. The company’s roots are in England, but its story begins in 1954, when Phil Wallbank moved to Ontario to take a job in a company that manufactured springs. It takes a lot of nerve to move halfway around the world for a job. When it turned out his new employer was little more than a dusty garage, Wallbank quit and built his own company. An offshoot now operates in Port Huron. It makes the spring assemblies that help modern automatic transmissions shift gears. If you’ve driven a General Motors or Ford vehicle in the past couple of decades, it probably has spring packs from Port Huron in its transmission. But Wallbank’s spring packs don’t stop at the border. Vehicle manufacturers around the globe use Wallbank’s technologies to move their cars and trucks. The company is expanding its operations in Port Huron, and expects to add close to 70 engineering, technical and manufacturing jobs to meet the needs of transmission builders in Europe and Asia. The company sells 40 percent of its product to foreign automakers. P.J. Wallbank expects to double its sales to China and triple sales to Europe in the next three years as it doubles production in Port Huron. To do that, it expends to spend $803,000 to expand, aided by a $350,000 Michigan Business Development Program performance-based grant and property tax abatements from the city of Port Huron. In 1954, Phil Wallbank could have gone anywhere. He chose Ontario and then Michigan. In 2017, P.J. Wallbank Springs could have gone anywhere — with Germany and China high on the list. Instead, it chose to expand in Port Huron. Thoughtful immigration policies make our country better. A Michigan company is a world leader in spring pack technology because Wallbank chose Port Huron. Global trade is here to stay. Throwing up trade barriers blocks exports, imports and innovation. We do some great things here. Take pride in the next GM vehicle you see. Wallbank springs make it go.